We have two new power supply kits to support low-voltage circuitry, such as for switching and opamps. The kits provide symmetric voltage outputs aka "split rails" of +/-12Vdc at two different power levels. PM12-12 provides +/-12V at 350mA. PM12 has universal mains fusing, and uses Hammond semi-toroidal PTs, metal-film resistrs, and 10,000-hour caps. I'm now in the planning stages of building a new amp head from scratch. Plenty of chassis room to work with. This will be my first LPSP, I am looking forward to that. Plan now is the to build the power supply, PA and preamp from ToT but with eyelet cards. "thunderous smooth" described in TUT caught my attention - I do not like bright tones or hard distortion. Would the Active resonance presence circuit, fig 6-34 of TUT, work well in the ToT PA? I'd use both 12AX7 tubes in the EQ network shown. Would it work following C1 of the PA, fig 6-2 of ToT, with an added coupling cap? 0.47u? Would a a larger OPT be a little smoother than the 1608 in the circuit? I have a single 6lb 6.6k OPT that I could use. 6V6, 5881, 6Pi3C-E and 6L6 all are to be tried. I will add a triode/pentode switch. I plan to use the bias supply as described in ToT . I want to lay out the circuit cards and build this up from scratch. I mostly play rhythm, the other guitarist I play with has a bright setup and I try to keep things lower (tone wise) and slightly clean to over-driven. P-90s are on the guitar. Thanks for any input from anyone, anywhere here. 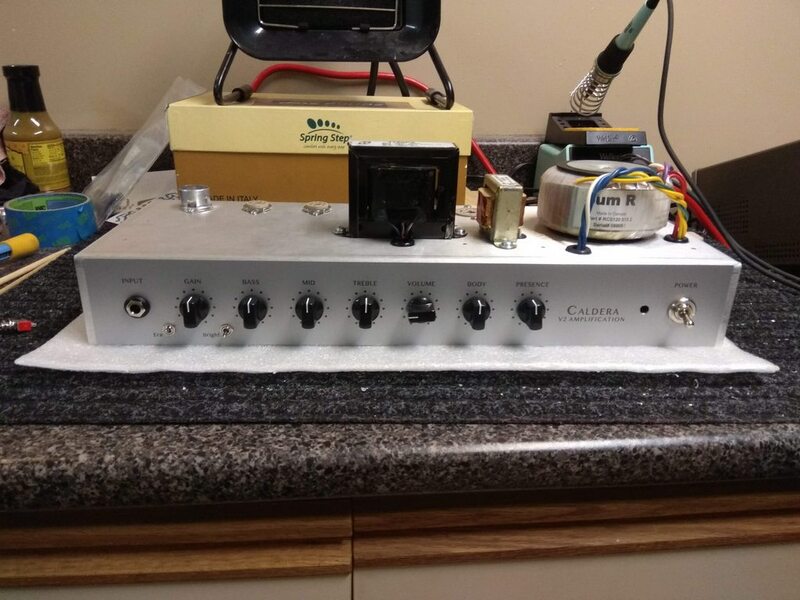 I am contemplating putting preamps in a separate box from the power amp and power supply in a unit I am currently building. I was wondering if this is possible or safe? Are there any special types of connectors that would work really will for this? Anything I should consider for the wiring between the boxes? My concerns are about the plate voltages and heaters. The power supply is the PSU-25. Pots! What brands are good? What brands of pots do you guys use? I lots of builder seem to favor the old style CTS pots but I've been using Alpha with no complaints for years. There a lot of good prices on pots on AliExpress but I'm not sure of the quality. Does anyone have any experience with those brands? Thanks guys! After all these years, reading the books, I have joined the forum. I have built several of the TUT amps, modded more, installed SV1 and 2 and bias kits and built a couple of audio amps (PP and SE) based on and from POP. Also have read (and built a few projects from) glass audio, audioxpress and VTV. And I really enjoy this as a hobby. 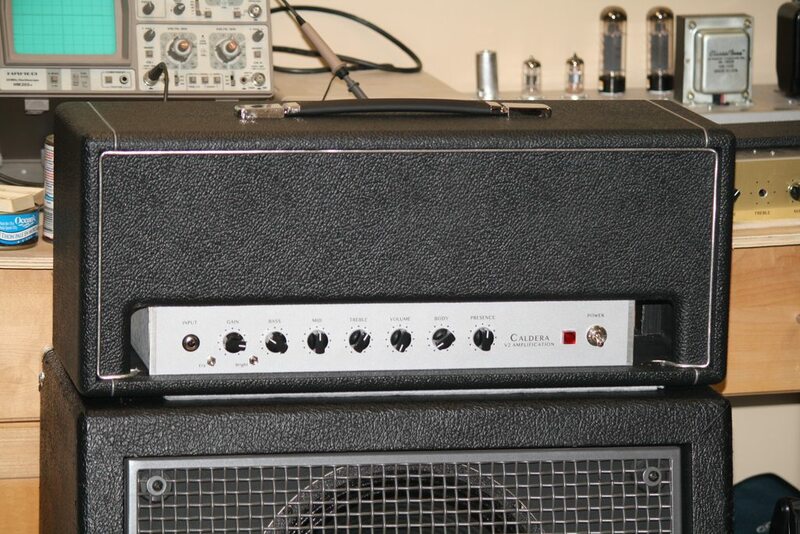 Presently building the ToT amp on 2 chassis to enable easy, easy mod and experimentation. Power supply and PA on the bottom chassis and the pre mounted above, with the hammond chassis cover on top and 12AX7 under. I also sold my most used combo, bought a 2x12 sealed pine cab on ePay and am loading with 1 driver (taking the idea described in SPKR). I did not opt for a Force12. like to hear one in it though. My latest build uses KOC's 10W power transformer (by SumR), KOC's 3H choke (by Hammond), a power-supply PCB (my own design, but borrowed KOC's bias supply), and a turret board for the pre- and power amp. It's got quite a bit of gain on tap. Vintage and modern modes accessible via the front-panel Era switch.